Labels bring order to the mess of wires hiding behind the Perlmeister's home routers and organize the treasures hoarded in a multitude of boxes. 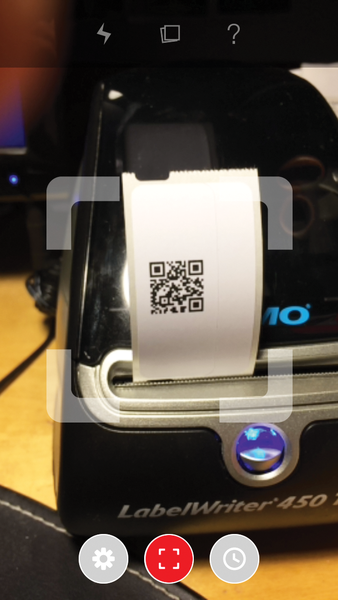 With just some tweaking, the Dymo LabelWriter even prints on Linux. 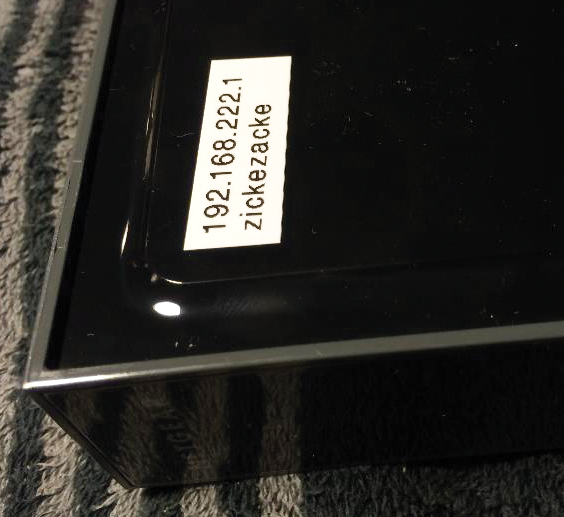 For decades, I have organized my network cables with permanent labels (Figure 1) printed on a portable device by Brother. However, it bugs me that every time I print a label the device wastes raw material (Figure 2), which I have to buy in the form of fairly expensive cartridges. Figure 1: Fast diagnostics thanks to systematic organization: the configured IP address and WiFi SSID on the router. 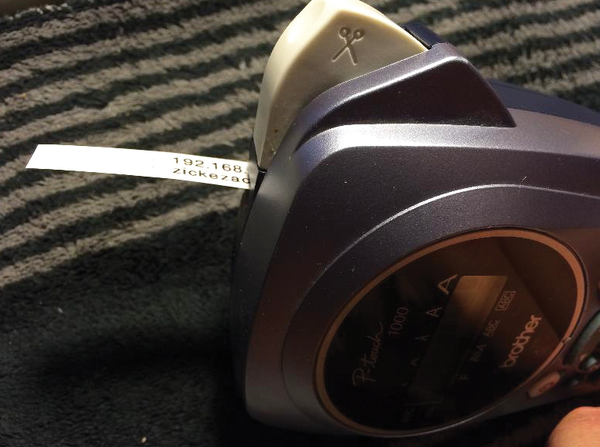 Figure 2: The portable Brother label printer wastes expensive raw material for labels. Brother's engineers deliberately seem to have built the machine to use twice as much label ribbon as I actually need, boosting the ribbon cartridge turnover as a side effect! If there is a hell for committing such wanton waste, I expect that the product managers responsible for this feature will be there some time soon. Apart from this, typing strings like 192.168.0.1 takes ages on the unorthodox keyboard; using a desktop computer would be far quicker. Recently, I found a label printer on eBay that I was able to connect with my Ubuntu desktop via a USB port. The LabelWriter 450 Turbo by Dymo (Figure 3) cost me around $40 secondhand, and I got it working in no time. What you need is the printer's CUPS system driver, which is available as source code . Figure 3: The LabelWriter 450 Turbo also prints on Linux. would do the job in one fell swoop. to query them. Below Printers in the system settings, you should see a dialog like that in Figure 4 with a Printer Options submenu, in which you can configure the dimensions of the labels you are using. 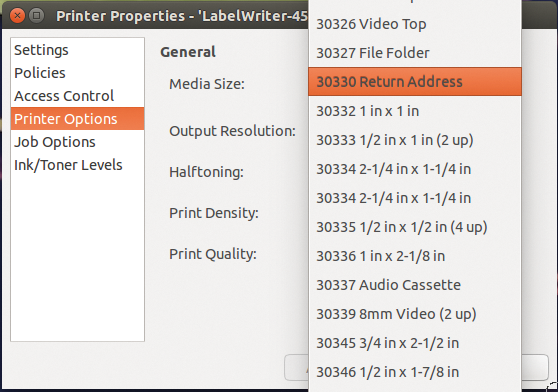 Figure 4: Ubuntu detects the label printer and serves up the label size configuration options. I bought a roll of labels numbered "30330" featuring 500 return address labels. I wasn't really worried about what professional shippers use these labels for; it was the handy 19x51mm format that interested me. The labels are shot vertically out of the thermo-printer, so I needed to adjust the lettering to match; in other words, rotated through 90 degrees in landscape. Now, how does the computer actually send the text to be printed to the device? As you can see, the option -P LabelWriter-450-Turbo tells CUPS to select the label printer if some other device is configured as the default printer. The label dimensions are set using the PageSize option, which expects the length and width – not in millimeters or inches, but in points. Some brief research on Google showed that you need to multiply millimeters by around 1.8 to convert to points (Figure 5). To match the 19x51mm labels, I thus needed rectangles in a format of 54x144.1 points; the parameter I used – PageSize= w54h144.1 – defined precisely that size. Figure 5: According to the conversion table I used, 19 millimeters are about 54 points. The final argument the lpr command expects is the name of the PDF file with the text to be printed. in line 16 of Listing 1 is that my experiments revealed that a string of eleven 20-point characters would precisely fill out the label lengthwise. Longer strings necessitate a linear font size reduction to fit on the label. This simple formula works amazingly well even though the Helvetica font I chose does not use fixed-width spacing but assigns a proportional amount of space to each letter in the document. The stringc() method called in line 28 prints the string passed in as its fifth argument in the middle of the PDF document. The font size is the second parameter, followed by the x and y coordinates of the center of the label. The x value runs from left to right in the document, and the y value from the bottom to the top edge. For some strange reason, the text string was always too low in the document in my experiments; this prompted me to introduce the $adjust variable in line 17 to move the string upward by one seventh of the font size. 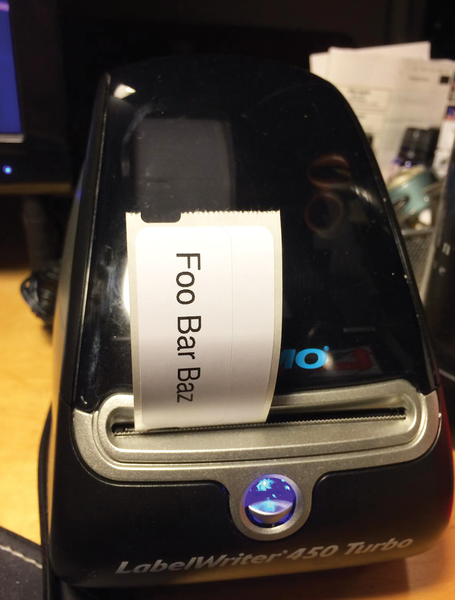 Thanks to these simple tricks, the label printer positions both short and slightly longer lines of text with up to 25 characters perfectly at the center of the document; the call to cmd-print fires up the printer, and the label comes flying out. 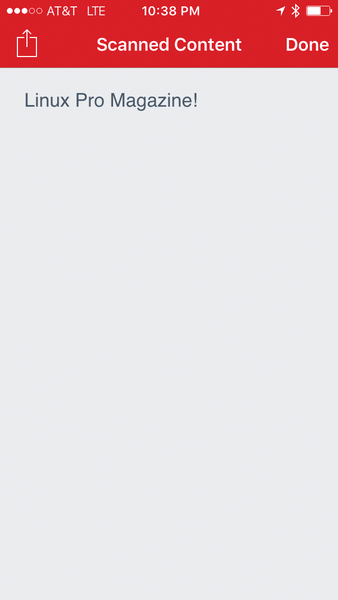 The process for handling non-standard characters, like umlauts, is something special. Because the string passed in at the command line is already UTF-8 encoded, but Perl interprets it as ASCII by default, you would normally see the printer output cryptic characters rather than what you wanted if left to its own devices. The _utf8_on function from the Encode module tells the interpreter that the string you passed in is already UTF-8 encoded and that there is thus no need to recode. The CPAN module for creating PDFs can do more than just position strings on a white background; it can also position images. Of course, a thermal printer that can only print black without grayscale limits your artistic options somewhat, but what about printing sticky labels with barcode? You can scan QR codes with a smartphone, opening up the option of assigning inventory numbers to devices printed as QR codes on labels that you could then scan and, if needed, store next to an asset number in a database or a filing system like Evernote, say, for a scanned owner's manual. and uses the CPAN Image::PNG::QRCode module to generate the QR code shown in Figure 6. The free QR Reader iPhone scanner app detected the QR code on the label still in the printer, even without me tearing off the label. Figure 7 shows the plain text version in the app. Figure 7: … identifies the code, and outputs the encoded message. Because the CPAN module I used to generate the QR code can only output PNG-formatted images, Listing 2 uses a clone of the CPAN Image::Magick module as an easy option for converting image formats. Installing the module involves some manual attention because it needs a number of developer packages from various libraries. Fortunately, a kind person from Ubuntu went through the trouble of generating a perlmagick package that provides the feature set with the Graphics::Magick module. The module converts the temporary PNG file managed using the File::Temp module into a JPG file, which is then picked up by PDF::Create and dumped into a PDF document. The label.pdf file that this process creates is then forwarded to the label printer with the previously shown lpr command. The only disadvantage with my label printer is that you can't buy rugged plastic labels for it. It only does black thermal printing on white paper or transparent film, both of which are self-adhesive. That said, however, the more expensive printer model called LabelWriter Duo, seems to have more options. I might just go bargain hunting again in the near future. Sweet, Michael. CUPS: Common UNIX Printing System. Sams Publishing, 2001. Mike Schilli works as a software engineer in the San Francisco Bay Area. He can be contacted at mailto:mschilli@perlmeister.com. Mike's homepage can be found at http://perlmeister.com.